The Greek chapter from the eurozone debt crisis for now is being closed after several very important stages have been completed to secure the second attempt for rescue of the country, although this second attempt should be called contained default rather than a rescue. After less than a year, on March 9 the deal with the private creditors to write-off Greek debt is already a fact. In the beginning of the summer of 2011 word started spreading about a private sector involvement, aimed to assist the handling of the gigantic Greek debt, exceeding 160% of gross domestic product and the first decision about the private sector involvement was taken at the eurozone summit in July when the private investors were asked to write-off 21% of the Greek debt. Voluntarily. This was the key word repeated after that like a mantra, hoping that if repeated a sufficient number of times, it will catch the ear. However in October, when the debt crisis not only was not showing symptoms of retreat but was intensifying even further, with the speed of a summer blaze, the private creditors were asked to write off half of the Greek debt. Again voluntarily against a certain amount of sweeteners, which against the backdrop of the losses seem like a bitter medicine over a lump of sugar. The big question, however, is whether the bitter medicine will succeed to lower the dangerously high temperature of Greece. Then the assessments of the sustainability of the Greek debt by 2020 started and lastly the eurozone leaders shook hands at 120.5% of gross domestic product, which is 5 percentage points over the initial assessments, according to which if the Greek debt is reduced to 120% of GDP it is possible to become sustainable, meaning to stop growing and the country to start servicing it without delay. The set in the second rescue programme condition should not be missed - Greece to accept a constant troika mission in Athens to follow whether the government (whichever it is) is sticking to its commitments. It is expected a special escrow account to be created, through which the debt will be serviced as a priority payment with the money from the bailout. Greece has introduced in its legislation a collective action clause, with which it practically cancelled the voluntarity of the operation with the bondholders under Greek law. Thus the soil was prepared for the deal last Friday, in which over 95% of the private bondholders responded to the invitation for a "voluntary" write-off of the debt under Greek law. Without force appeared other private creditors, who had bought Greek debt under other than Greek law. So, according to data of the Greek Ministry of Finance, some 100 bn euros have been written off out of totally 206 bn released for exchange. Many various specialists, who were following the developments of the Greek drama, sighed in relief and described the deal as a success for Greece. 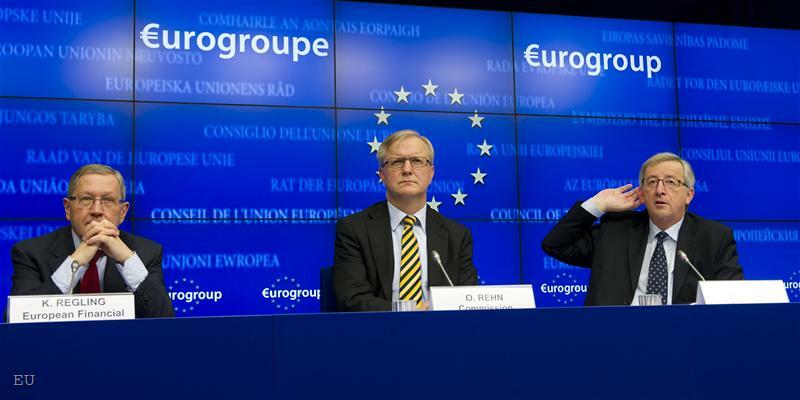 For the first time in a while the members of the Eurogroup also sighed in relief, although obviously the unfolding of the drama, as well as the looming-up of Spain's huge shadow, caused stones in Jean-Claude Juncker's kidneys, the Eurogroup president. At a news conference late on Monday, actually early if we consider the traditions of the past year and a half when these meetings ended in the early hours of the day, Jean-Claude Juncker appeared before the journalists in the company of Monetary Affairs Commissioner Olli Rehn and the Director of the temporary rescue fund EFSF, Klaus Regling, visibly suffering but with his usual strong sense of humour, even additionally enhanced, probably due to his pains. 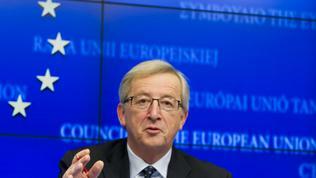 Mr Juncker started with the words "A very undramatic meeting", which is part of the new EU message, strongly underlined during the Spring European Council in the beginning of March. 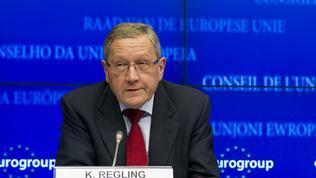 The finance ministers of the 17 eurozone member states, Olli Rehn, Klaus Regling and over the phone from Washington the IMF chief, Ms Christine Lagarde, had arrived to the common opinion that the deal, as well as the approved by far legislation in Greece and the upcoming actions of the Greek government were sufficient to initiate the programme. In order to avoid too much joy, although they did not expect serious problems, but by the end of the week several other things have to happen before work on the programme can start. The IMF has to decide at its spring meeting what share it will take part with in the 130 bn euros programme of the second bailout. So far the Fund's participation was one third with the other programmes, financed through the temporary rescue fund - of Portugal and Ireland. The first Greek programme is financed entirely through bilateral loans and with IMF assistance, but the second will pass entirely through the rescue fund. Some member states also have to pass the programme through internal procedures, but Jean-Claude Juncker assured that he did not anticipate problems. The big news from the Eurogroup meeting on March 12, however was that the troika has revised its forecast for the Greek debt reduction by 2020. If the previous assessments showed that the Greek debt will achieve sustainability if it is reduced to 120% of GDP by 2020 and to that goal enormous efforts have been invested, after the deal with the private creditors the troika deems that by 2020 the Greek debt will decline to 117% of GDP. Indeed a big surprise against the backdrop of the tough agreement from February 21 for a ceiling of 120.5%. 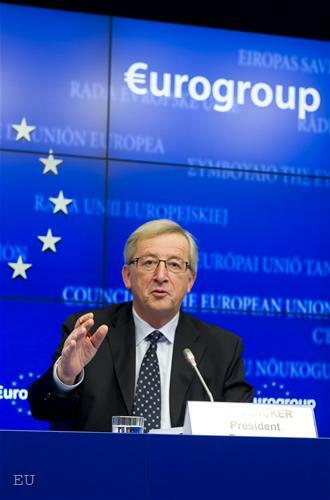 Jean-Claude Juncker warned the Greek authorities though, that they should not squander that chance and should keep the remainder in buffers, as well as not to promise the Greek private creditors compensations for the losses in chasing a goal which is surpassed. Regarding the work on the second programme for Greece, the director of the EFSF, Mr Klaus Regling, announced that last week was the most important one after the establishment of the fund 2 years ago. Bonds were issued for 66 bn euros, of which 35 bn paid directly to the ECB to enhance the Eurosystem and 31 bn were paid to sweeten the deal with the private creditors. All this was done in non-cash operations. After the second programme is finally approved by the IMF and the EFSF board, which is expected to happen this week, the fund will start raising financing from the markets. 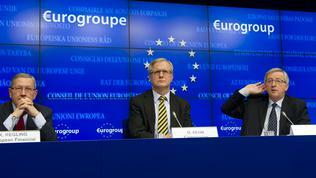 In 3 years 100 bn euros will be raised by the rescue fund, of which 48 bn euros will be used for bank recapitalisation. The rest will be raised from the markets. 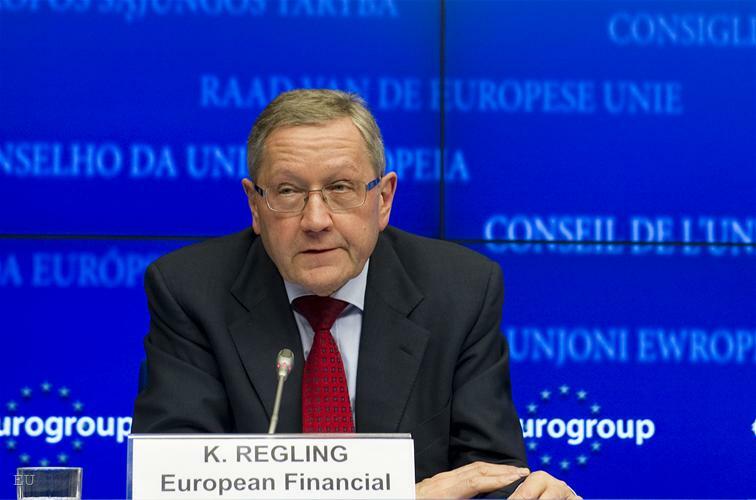 Mr Regling's expectations are this month to be raised 5.9 bn euros, in April 3.3 bn and in May 5.3 bn for Greece. Many analysts, however, expressed doubts that the deal with the private creditors was indeed such a good news as it seems. euinside spoke with one of the participants in the alternative troika of the group of Socialists and Democrats in the European Parliament, that went to Greece on a mission of their own. MEP Ivailo Kalfin was one of the three left-wing MEPs who were in Greece last week. The Socialists and Democrats are among the strongest critics of the official troika, which works on finding a solution to the problems of programme countries. It consists of representatives of the European Commission, the ECB and the IMF. According to Mr Kalfin, however, those are people who are not accountable to anyone, who do not take responsibility for their actions and it is not clear how they take the decisions they prescribe to Greece. According to Ivailo Kalfin, the deal with the private creditors is not good in the longer term. Many of the private creditors are actually pension funds, because Greece had decided some time ago to exchange the savings in the pension funds with government bonds - an idea which is being discussed in Bulgaria too. Moreover, for him the deal with the private creditors is the last step before the official creditors to start writing off Greek debt, meaning the European taxpayers. For the MEP the troika remains the biggest evil in the case of Greece because the undertaken measures, mainly spending cuts, lead only to more economic recession. Ivailo Kalfin explained that almost 80% of the Greek economy was based on domestic demand. He thinks that the measures undertaken by the Greek authorities so far are a real miracle, that no other country can undertake but the expected result is not achieved - internal devaluation - reduction of wages and prices. The wages are reduced but the prices are not, he said. Greece's main problem, according to Mr Kalfin, is lack of liquidity. He made several proposals how the EU can help. More about his ideas, among which again are the eurobonds, you can watch in the video above. Other analysts think that the deal with the private creditors will have very bad impact on the other programme countries in the eurozone, whose borrowing costs remained high precisely because of fears that in a certain moment in time similar deal could be demanded for Portugal, and at a later stage for Ireland. Whose camp will prove right we are yet to witness but the European Union desperately needs a break. This is expected to happen in the end of the month when a decision will be made about the combination of the two rescue funds of the euro area - the temporary EFSF and the European Stability Mechanism - which will lead to a combined lending capacity of 750 bn euros. Jean-Claude Juncker announced that this decision had to be taken at the informal Eurogroup meeting on March 30 in Copenhagen. He made it clear that it would be taken.